How do you get 32 different houses, all with very different sets of student members, to co-exist under one online umbrella to show the strength and community service of the fraternity system? 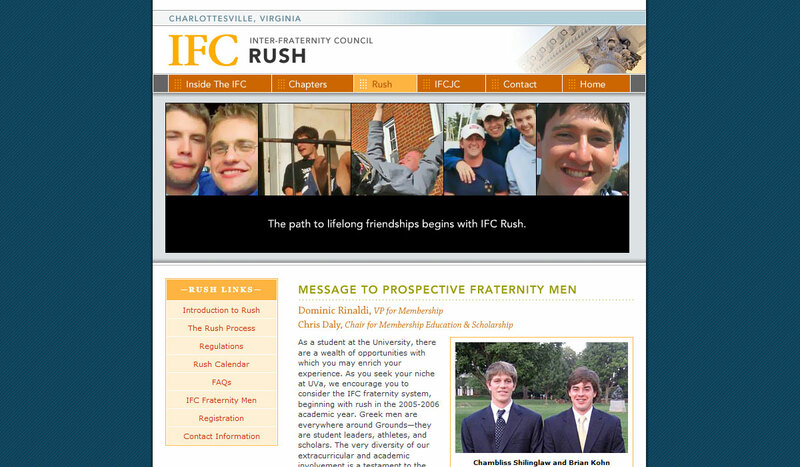 That was the challenge put to us by one enterprising IFC president. 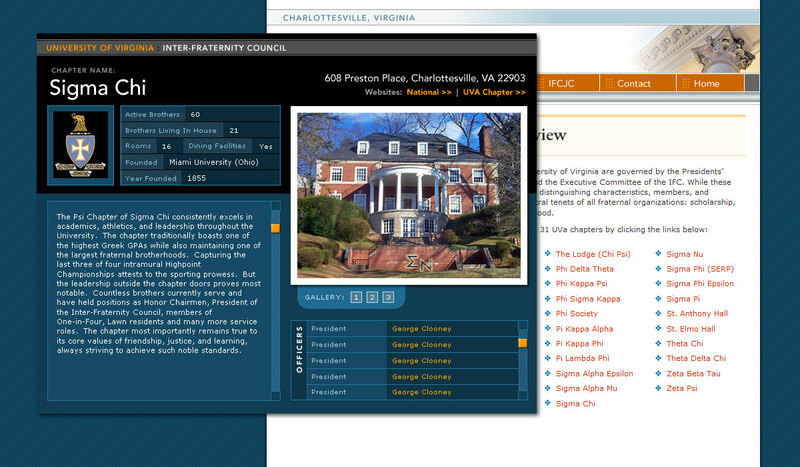 We responded with a site that allowed each house to have its own voice within a framework that clearly outlined the expectations, requirements, and benefits of fraternity life. 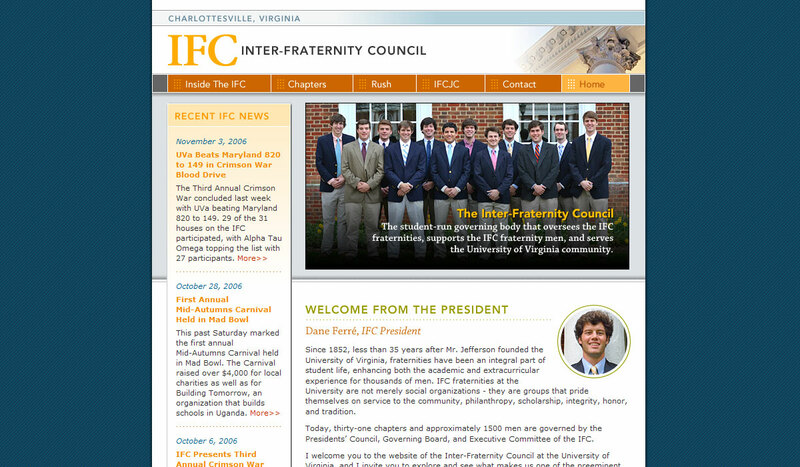 The site soon became a model for other university systems across the country.